Welcome to the official website of Baraico Limited. 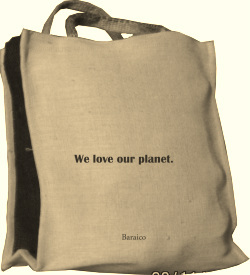 At Baraico, we manufacture jute bags of various styles. As is well known, jute bags are biodegradeable and echo-friendly. We care for the environment just as you do. It is our priviledge to be on your side. We would like to help you help the environment. Please check the various products that are produced at Baraico. We can supply the products at a very competitive price whilst we guarantee the highest standard. Please let us know if you have any ideas about jute bags in the 'contact us' page and we promise we would supply the jute products that you fancy. Baraico Limited is registered in England and Wales as a limited company. Incorporation number 7495864.